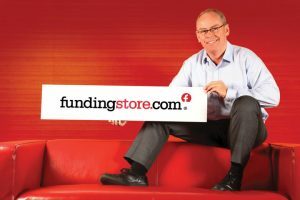 FundingStore is an online business finance platform that matches small businesses with suitable funders and advisers, including banks, alternative finance and equity investors. The online platform is supported by a team of experts who can support businesses in putting in the best funding application. Nick is a Chartered Accountant and an experienced business builder. He has decades of experience and a successful track record of advising larger start up businesses on raising funding. He is the co-author of the best selling business book “Running a Limited Company”, which will shortly be published in its 8th edition. Matthew is an expert in the digital and traditional creative media industry. He is an entrepreneur with 20 years’ experience and an exceptional track record of working with many of the world’s leading professional services brands. His responsibilities at FundingStore cover: the technology and infrastructure of the web site; branding, advertising and marketing; and the sales strategy. Steve is a Chartered Accountant and was a Corporate Finance Partner at BDO Stoy Hayward Manchester before co-founding Euro Sales Finance plc in 1995. It was the first company to raise funds on AIM later moving to the Full List. Since the company’s sale to RBS in 2001 he has held Board positions in a number of regulated and unregulated financial services businesses both on AIM and privately owned. FundingStore started in late 2011. It was initially self-funded by the founders. FundingStore was created to provide an independent way for businesses to search the complete range of funding options, which Nick recognised as a significant gap in a market he had spent his life working in. Most of 2011 was spent perfecting the website and the search algorithms, registering funders to the platform and identifying businesses to test the concept. A number of businesses recruited to test the site quickly found funding from a variety of sources. Early in 2013, FundingStore secured substantial angel investment for expansion and has grown its database of funders quickly. Users can now search a database of hundreds of angel investors; a wide range of banks including RBS, Lloyds TSB, and Aldermore bank; peer-to-peer lenders such as Funding Circle, and a number of alternative finance options such as pension-led funding, factoring and asset-based funding. FundingStore is currently unregulated as it does not deliver any regulated services. Debt and equity funders can register their profile on FundingStore and list their criteria for funding. Any time a suitable application comes through, they will appear on the search results and the business will be prompted to contact them directly. If a business is interested, the funder will be emailed their details and have the opportunity to approach the business if they are interested in the opportunity. This reduces the time required to identify relevant lending/investment opportunities by matching funders and companies based on their shared criteria. FundingStore uses the scale of the internet to filter a huge potential market and deliver only the relevant opportunities based on funders’ assessment criteria. Business proposals received from FundingStore can quickly be assessed because they are standardised, concise and filtered before they reach the funder. FundingStore is the only place where businesses can search the entire spread of relevant funding providers. It allows businesses to search by their criteria – location, investment level, funding purpose, business size and sector – to find the right funding source for them. FundingStore has a team of experts on hand to guide businesses who need funding, reducing rejections and saving time for the business and the funder. The site also allows small businesses to search for relevant experts – accountants, lawyers and consultants – to help manage their business financing. FundingStore supports organisations which require financial and legal advisers – capable businesses with strong potential for commercial success and an ambition for growth. By registering on FundingStore, advisers will appear in search results every time a business requests professional help in their area. They will be notified instantly every time a visitor proactively requests that they contact them. The majority of current work involves expanding the searchable database of lenders and investors to become the whole of market search facility that FundingStore aspires to. In addition, FundingStore has also recently launched the FundingStore Academy. This offers free guidance videos and downloads for businesses in a range of useful areas including templates for business plans, funding applications and online finance resources on topics such as business financing, government schemes, raising funds and how to find professional advice.